Take a break from the city and head into the country for the day on this full-day tour around the Margaret River region. 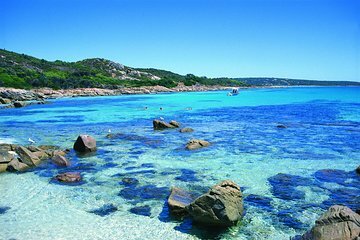 Nearly 170 miles south of Perth, Margaret River is a charming town that’s part of a premium wine-making region with a strong national and international reputation. On this private tour, enjoy the undisturbed quiet of sites like the unearthly Ngilgi Limestone Cave and visit a couple of wineries without worrying about being crowded out of your tastings. Food and drinks except what is stated in the inclusions.